Making silly faces in Next Steps in Tracking summer workshop! 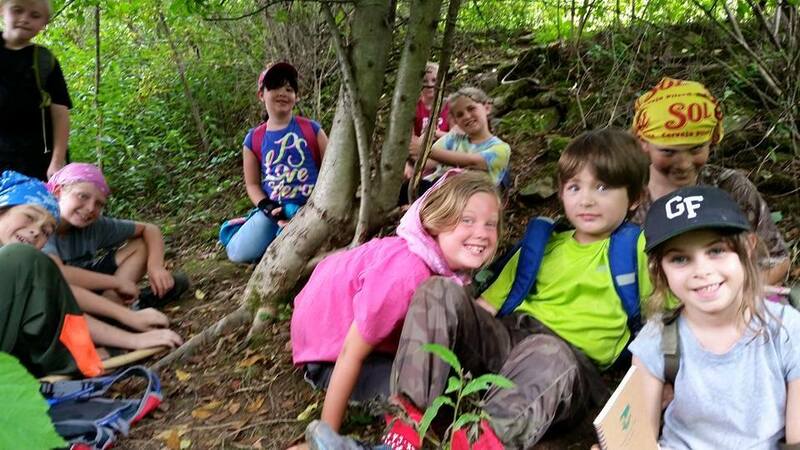 Mountain SOL School is a non-profit organization dedicated to bringing outdoor education opportunities to all children. As part of this, we offer sliding scale tuition for all families, allowing them to pay what they are able to afford. We also offer scholarships to families that would be unable to participate. Donations from individuals and businesses supporting salary and other operating costs allow us to be more flexible in our tuition requirements for low-income families. The benefits of getting outdoors and connecting with nature should be available to everyone – please donate to Mountain SOL School today! Once you hit “Submit” you will be directed to PayPal to complete donation transaction. There is an option on PayPal to donate with a credit card if you do not have a PayPal account.